What is the role of the Father in the life of child? Nature has planned for the father to be the protector and provider. But is this a role that is relevant in today’s world? Where women are able to protect and provide as well. No. The traditional role of the father in the family is becoming redundant. Many men in urban India have realized this and are actively trying to fit themselves into new roles in the family. They are trying to become nurturers in addition to being protectors and providers in an attempt to reinvent themselves and become relevant in the modern day, urban family structure. But nurturing does not come naturally to fathers. It requires the investment of time and effort to up-skill oneself. 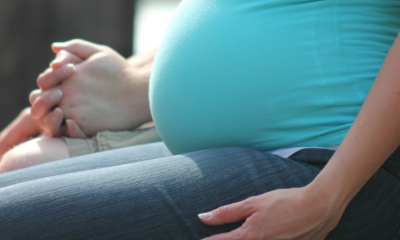 And that is why it is so important for expecting Dads to attend Prenatal Classes. 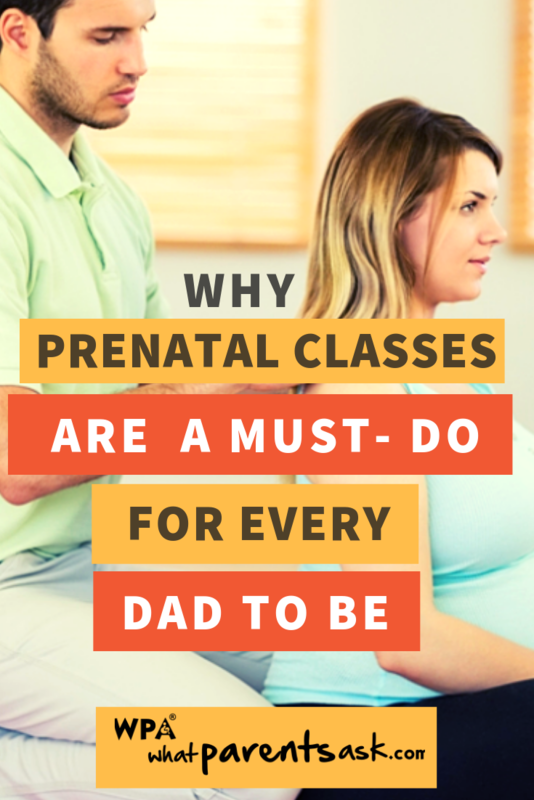 Also read What Are Prenatal Classes And Why Are They Worth It? Why is it difficult for fathers to become nurturers? Hormones play a very important role in turning a woman into a mother. Through pregnancy, through birthing and during breastfeeding the body of the woman is flooded with hormones that allow her to naturally blossom into her role as nurturer and mother. Oxytocin the hormone of bonding floods the body during birthing and breastfeeding. And Prolactin the hormone of milk production and parenting arrives with the arrival of milk. The man who needs to turn into the father does not have these hormones and will not turn into a father naturally. 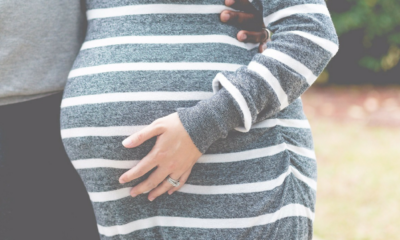 For the survival of a newborn baby – it is essential for one parent to be tightly emotionally bound to the baby so that the baby is always looked after. But it is also essential for one parent to be able to put emotions on the backburner so that food can be brought home. For us humans – the mothers are programmed by nature to stay by their baby’s side and not wander far away because they must breastfeed their babies. Fathers on the other hand are programmed to be able to lock away emotions – not feel bonding so strongly – so that they can go out and bring back food and other necessities for mother and baby. So if fathers are not consciously made part of the baby care routines they are unlikely to naturally morph into nurturing parents. What can fathers do to overcome the challenges that they encounter? One of the crucial prerequisites to bonding is – spending time together. Whether it is a newlywed couple or a parent and child. Bonds build when two people spend time with each other. 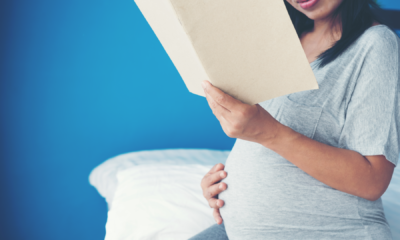 Unfortunately – while mothers are usually able to take at least 3 months of maternity leave – fathers do not get more than a couple of days off for the birth of their babies. And these few days are usually spent in a sleepless haze. What you can do – Paternity may be a while coming but make sure you plan your leave such that you are able to take a considerable chunk of time off when your baby is born. Yes it is frightening to touch a fragile baby – but you must. No you will not drop your baby or break her/his bones if you have learnt the correct technique to hold your baby in a prenatal class. Your baby can hardly see. And spends most of her/his time sleeping and feeding. The only way you can let your baby know that you love your baby is by providing lots and lots of skin to skin contact. What you can do – Whenever you have the chance – rock your baby to sleep or change a diaper or give a bath. You can learn all this in a prenatal class. It will equip you to build an breakable bond with your baby through touch. Bonds are built when you share experiences with someone. But what experience can you share with a newborn baby? What you can do – You can definitely share stories – real stories from everyday life. And stories from books. You share the experience of rocking with your baby or going for a walk. No newborns don’t remain the way they are born forever. Since men are programmed to respond to rewards much more than women – it can be disappointing at first to care for a newborn because there is no active display of happiness from the baby. Up-skilling is most important before you take on the big job of parenting your kid. And everything in parenting is eventually a technique that can be learned – practiced and perfected. 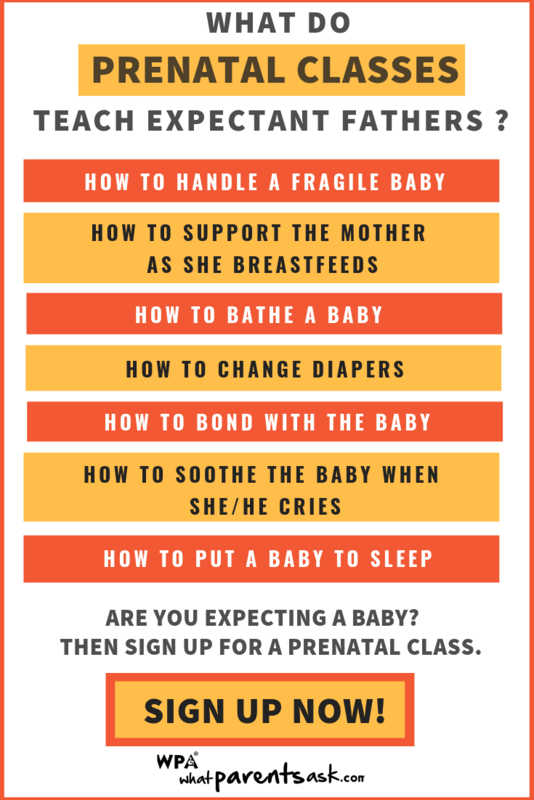 So expectant Dads must attend prenatal classes.